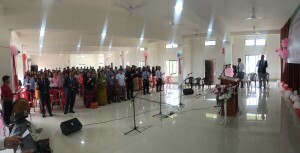 A section of the congregation present during the inauguration of the Evangel Fellowship Hall at the Evangel Mission Center in Pillangkatta near Guwahati. This Hall has a seating capacity of around 500. 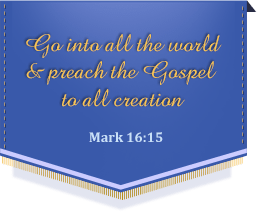 The church has begun using it for their regular worship services. It is availble for hire at a nominal cost and has a back up generator as well.